Seurasaari Island and Open-Air Museum and Sea Fortress Suomenlinna will appeal to history buffs. Get in touch with nature at Teijo national park and Tulliniemi Nature Path. Change things up with these side-trips from Helsinki: Raseborg (Fagervik Church, Ekenas Archipelago National Park, & more), Bellevue Beach (in Hanko) and Nuuksio National Park (in Espoo). 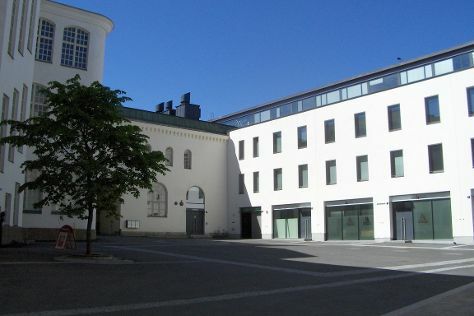 There's much more to do: contemplate in the serene atmosphere at Rock Church, learn more about the world around you at Natural History Museum (Luonnontieteellinen Museo), take in the architecture and atmosphere at Helsinki Cathedral, and admire the masterpieces at Kansallisgalleria. To find where to stay, ratings, more things to do, and more tourist information, read Helsinki trip maker tool . San Francisco, USA to Helsinki is an approximately 14-hour flight. You can also do a combination of subway and flight; or do a combination of flight and ferry. The time zone difference when traveling from San Francisco to Helsinki is 10 hours. Prepare for slightly colder weather when traveling from San Francisco in September: high temperatures in Helsinki hover around 61°F and lows are around 45°F. Wrap up your sightseeing on the 23rd (Mon) to allow time to take a train to Tampere. Start off your visit on the 24th (Tue): see the interesting displays at The Finnish Labour Museum Werstas, then examine the collection at Tampere City Library, Metso, then examine the collection at National Police Museum, and finally see the interesting displays at The Car Museum of Vehoniemi (Vehoniemen automuseo). Here are some ideas for day two: contemplate the long history of Visavuori, tour the pleasant surroundings at Rauhaniemi Beach, and then pause for some serene contemplation at Finlayson Church. To find traveler tips, photos, other places to visit, and other tourist information, read Tampere route tool . Take a train from Helsinki to Tampere in 2 hours. Alternatively, you can drive; or fly. In September, daytime highs in Tampere are 58°F, while nighttime lows are 43°F. Wrap up your sightseeing on the 25th (Wed) early enough to take a train to Kuopio. Kuopio is a city and a municipality located in the region of Northern Savonia, Finland. 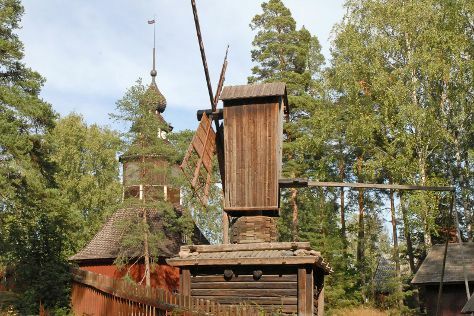 Start off your visit on the 26th (Thu): see the interesting displays at Kulttuurihistoriallinen Museo, experience rural life at Tahko Farmi, and then get engrossed in the history at Riuttala Farmhouse Museum. On your second day here, contemplate the waterfront views at Valkeisenlampi, then see the interesting displays at Kuopion Korttelimuseo, then take in the architecture and atmosphere at St. Nikolaos Cathedral, and finally pause for some serene contemplation at Leppavirta Church. To find other places to visit, maps, and other tourist information, read Kuopio trip tool . Traveling by train from Tampere to Kuopio takes 3.5 hours. Alternatively, you can drive; or do a combination of train and flight. In September, daytime highs in Kuopio are 56°F, while nighttime lows are 46°F. 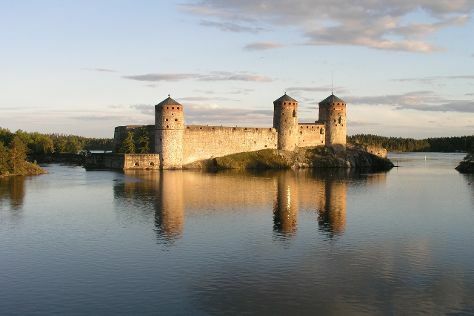 Finish up your sightseeing early on the 27th (Fri) so you can go by car to Savonlinna. Kick off your visit on the 28th (Sat): take in the architecture and atmosphere at Pikkukirkko, step into the grandiose world of Olavinlinna Castle, examine the collection at Lusto - The Finnish Forest Museum, then take in the spiritual surroundings of Kerimaki Church, and finally take in the history at Salpa Line. On the next day, explore the striking landscape of Kolovesi National Park. For ratings, reviews, and other tourist information, read Savonlinna vacation app . Traveling by car from Kuopio to Savonlinna takes 2.5 hours. Alternatively, you can do a combination of train and bus; or take a bus. In September, daytime highs in Savonlinna are 57°F, while nighttime lows are 44°F. Cap off your sightseeing on the 29th (Sun) early enough to go by car to Lappeenranta. On the 30th (Mon), head off the coast to Lammassaari Island and then see the interesting displays at Salpa Line Museum. Here are some ideas for day two: head outdoors with Atreenalin Seikkailupuistot, then take in the spiritual surroundings of Church of St. Nicholas, then take in the architecture and atmosphere at Lauritsala Church, and finally take in the spiritual surroundings of Lappeen Marian kirkko. To find photos, more things to do, other places to visit, and more tourist information, refer to the Lappeenranta holiday planner. Drive from Savonlinna to Lappeenranta in 2.5 hours. Alternatively, you can take a train; or take a bus. Expect a daytime high around 59°F in September, and nighttime lows around 46°F. Finish your sightseeing early on the 1st (Tue) to allow enough time to take a train to Kouvola. Kouvola is a town and municipality in southeastern Finland. Start off your visit on the 2nd (Wed): learn about all things military at Bunker Museum, identify plant and animal life at Riverside Park, and then look for all kinds of wild species at Arboretum Mustila. Keep things going the next day: steep yourself in history at St. John's Church, then contemplate the long history of St. Nicholas Orthodox Church, then take in the architecture and atmosphere at Church of Hollola, and finally see the interesting displays at Directions Lahden historiallinen Museo. For maps, traveler tips, other places to visit, and tourist information, go to the Kouvola trip itinerary builder app . You can take a train from Lappeenranta to Kouvola in an hour. Other options are to drive; or take a bus. October in Kouvola sees daily highs of 44°F and lows of 35°F at night. On the 4th (Fri), wrap the sightseeing up by early afternoon so you can travel back home.